BROADWAY: Ah, Wilderness!, Two Shakespearean Actors (Lincoln Center); Philadelphia, Here I Come. OFF-BROADWAY: The Secret Order (EST); The Jazz Singer (Jewish Rep.); Other People’s Money (Minnetta Lane); The Wreck of the 5:45 (EST); How The Other Half Loves (York); I Am A Man (CSC Rep.). FILM: Everything’s Fine; Invincible; The Tourist; Two Weeks; How to Lose a Guy in Ten Days; Out of Time; Thirteen Conversations about One Thing; Goy Band; My Brother’s Shadow; The Last Days of Disco; Private Parts; The Howling; Blue Thunder; The Rosary Murders; Night Falls on Manhattan, Vanilla Sky. TELEVISION: 30 Rock; The Water Is Wide; 100 Centre Street; The Sopranos; The Laramie Project; Ed; Law & Order; Law & Order: Special Victims Unit; Law & Order: Criminal Intent; Law & Order: Trial by Jury; Cosby; Feds; Spin City; All My Children; Spenser For Hire; NYPD Blue; Wonderland; The Equalizer; Hope and Faith; Third Watch; Hill Street Blues. 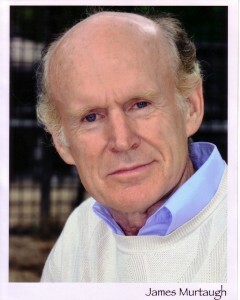 Mr. Murtaugh is a member of the Ensemble Studio Theatre.